Jean Chatzky is the financial editor of the NBC Today Show and author of several books Full Disclosure: We earn a commission if you click this link and make a purchase, at no additional cost to you. . She is recognized for a specialized understanding of the relationship between women and their money. However, both men and women can learn something for Chatzky's insights. Brad and Jonathan delve into the relationships that each of us has with money. With the release of Women with Money: The Judgement-Free Guide to Creating the Joyful, Less Stressed, Purposeful (and, Yes, Rich) Life You Deserve, everyone wants to know why Chatzky chose to write and publish this book. There are countless money topics out there, but the relationship that women have with money is especially interesting. The book is aimed to help women everywhere get more comfortable in their relationship with money. After hearing from countless women through her podcast community, she found that women have a thirst for an ongoing conversation about money. Although most people are desperately uncomfortable when it comes to talking about money, that doesn't mean we should stop talking. After all, it is an incredibly important life skill that everyone should get comfortable with. There's also this sense…of shame. Sometimes we feel ashamed because we've got not enough and we feel unsuccessful and we don't want to talk about it for that reason. Sometimes we feel ashamed because we have too much and we feel guilty and we don't want to talk about it for that reason. Money talk is one of the last greatest taboos that society would prefer to sweep under the rug. The urge to avoid talking about money has always existed, so it is likely that it will continue to exists. The general sense of shame that surrounds money can be broken down just by talking about it. Through several small group discussions with women around the country, Chatzky has seen that simply giving ourselves permission to talk about money helps to normalize the topic. What Are The Biggest Financial Hurdles Facing Women? In today's world, women face a different set of financial challenges than men. The wage gap is a widespread problem that faces women around the world. Women are simply not paid fairly or equally for the work they do. Dollar for dollar, women are earning less than men who perform the same exact work. Statistics point to an average of white women earning .80 cents for every dollar earned by their male counterparts. Minority women earn even less. Slowly, corporations have started to be more transparent about their compensation. With increased accountability, society will hopefully move towards equal pay but it may be a slow process. The wage gap is something that can be tackled one woman at a time. Finding the courage to negotiate for a raise can help to bridge the wage gap one powerful woman at a time. A good place to start researching a raise request is by understanding what others in your field make. You can find great information about salary information on Glassdoor, PayScale, Salary.com, and hiring ads that want people with your skill set. Following the #talkpay movement is another way to connect with other people talking about their own salaries. One easier way to share salary information at your company is by letting your coworkers know on your way out the door. As you move onto the next chapter of your career, sharing salary information can help those that follow in your footsteps. Of course, this could be controversial. However, transparency is important even if it feels uncomfortable. If you work to make it a part of the company's culture, the talking about salaries may become less uncomfortable over time. Armed with salary information, you might choose to ask for more money at your current position. The conversation needs to happen at the appropriate time with information that shows the value you have brought to the organization and factors from your industry. Asking for more is an art. You may need to go find another offer to in order for your current company to take the demand for more money seriously. Remember, your boss needs to justify your immediate raise to his boss. Don't make this a habit but it can help move up the pay scale at a company one time. Also, don't seek out an offer you do not intend to take from a company that you may want to work for in the future. One obvious reason why women are at a financial disadvantage is that they traditionally take more time out of the workforce than men. Women are often called to take off time to raise their children and care for elderly parents. These demands of life are asked of women on a regular basis, however, we can counter their negative financial effect that with thoughtful planning. Chatzky advises women temporarily leaving the workforce to keep one foot in the door. Of course, this is a little controversial because you likely already have enough on your plate at home but it can help make the transition back to work less painful. You do not have to work full-time or part-time to keep your career alive. However, making the effort to not totally disappear is critical. When I say leave a foot in, I don't mean that you have work full-time. I don't even mean you have to work part-time. I mean that you need to keep your contacts refreshed. That if you can take on the occasional project, that keeps you in the database of people in your industry. If you can maintain your Linkedin profile and attend networking events and just don't disappear. Take the time to keep contacts refreshed, make time for occasional projects, maintain your LinkedIn profile, and attend networking events. You do not have to think of transitioning to home life as an all or nothing switch. Especially in today's connected world, there are many opportunities to be flexible about the work you take on. Although women were not traditionally the investors in our society, it is important for women to build financial skills and take responsibility for their finances. Although women have been gaining a larger share of assets and are spending more than ever, many still feel a lack of power in this world. The harsh reality is that the vast majority of women will be on their own at some point in their life. It is simply not okay to avoid finances. We need to get to a point where we are comfortable with handling the finances yourself. At any point in a woman's life, she should ensure that she has money, credit, and investments in her own name. The vast majority of women responded that they wanted to know they were in a secure financial position. Women have an emotional need to protect themselves. So the fact that the emotional need to protect ourselves is at the center of our relationship with money is not surprising. Once we recognize this quality in ourselves, it is important to protect that urge. Otherwise, it will be difficult to move forward with any of the other things we want to do with our money. The other factor that really impacts your emotions surrounding money is your own money story. As Chatzky says “it's the most fascinating story you've never read.” In fact, many have never even looked at it. Your money story is not just what your parents taught you about money but also the atmosphere that existed around money in your household. The relationship you have with money and the people around you is everything. As you delve into your own money story, you need to work to understand the relationship between yourself and money. Otherwise, it is very difficult to move forward effectively. It is vital that you dive into your personal money story and learn to recognize your emotional triggers. In Women with Money Full Disclosure: We earn a commission if you click this link and make a purchase, at no additional cost to you. , Chatzky has a whole list of emotions, moods, and feelings with the usual actions that follow. In the book, I've got a whole list of emotions, moods, feelings and what they tend to cause us to do. It's pretty interesting that you can isolate the particular emotions and the actions that often result. So if you look at something like anger, for example, you would think anger might make you slam a door and shut yourself in a room. But anger actually makes us more optimistic and more likely to take more risks than we would normally take. For example, anger might lead you to make a big purchase. The list is a great starting point to uncover how you react to specific emotions. You need to learn how to notice these feelings inside of yourself and be conscious of your actions while experiencing that emotion. Tip! The Headspace Meditation app is a great way to start training yourself on how to recognize what you are feeling physically and emotionally. The relationship you have with money is important to understand. Understanding your partner's relationship with money is also very important for reaching long-term financial goals together. In the book, Women with Money Full Disclosure: We earn a commission if you click this link and make a purchase, at no additional cost to you. , Chatzky outlines several exercises that can help you extract your partner's money story. Try doing the exercises separately and then talking about the results as a couple. Knowing where your partner is coming from and why they react is really, really important. So it means sitting down and asking questions about what was the environment like in the house where you grew up. Was it fraught with tension? Was there this feeling that there's plenty? Or was there this feeling that there was never enough? It might not be easy or comfortable but it is important to understand. If you don't understand where your partner is coming from, then it can become difficult to communicate about money. With a communication breakdown, it is likely that you will fight about money which is something that no one wants. Many statistics show that the more you fight about money, the more likely you are to divorce. Also, the “money talk” should not be a one-time thing. Throughout the course of your relationship, you should continue to foster a discussion about money on a regular basis to build a deeper understanding of their perspective. Make a money date and chart out your goals for your shared future. Build a plan that involves both of you. Create a framework for these discussions about money in light times. For example, a Saturday afternoon might be a good time but not if the in-laws are coming over in 20 minutes. Although it is difficult just start talking about money. Don't feel discouraged if you cannot get through everything in one sitting. You can continue these conversations, so don't feel rushed to fit it all in in one day. Andy Hill from Marriage, Kids, and Money has some great “money party” ideas to get started talking about money with your partner. If you are in the process of combining finances with your significant other, then you know that it can be a huge challenge. 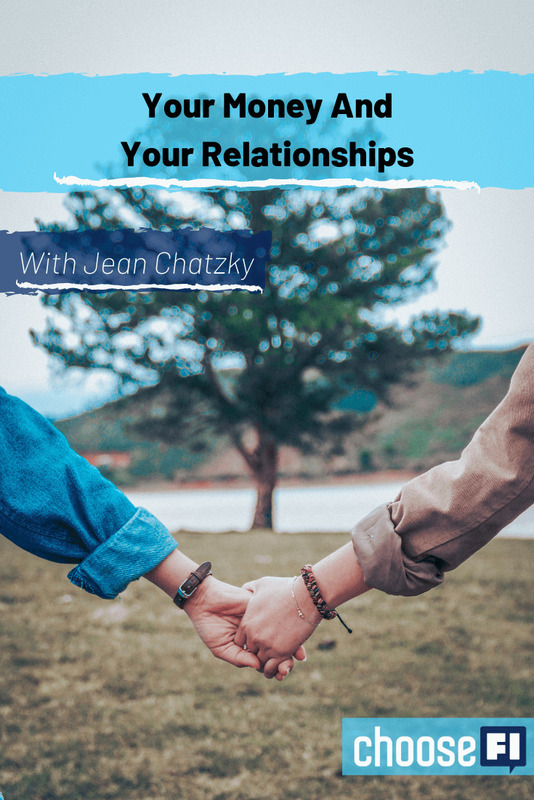 There are several financial systems that are working well for couples that Chatzky uncovered in the research for her book. You can find more detailed information about each of these in the new book. Some couples share everything through completely joint accounts. Some couples have set up an allowance system that provides one partner with funds to make their own decisions, even if they aren't working full-time. Another option is the “yours, mine, ours” approach. Each partner has their own bank accounts but funds a joint account to pay for certain shared expenses. With this approach, there are more eyes on the money to spot mistakes. Plus, you give yourselves the freedom to do the thing you want to do without asking for permission or feeling guilty about it. For Chatzky, her husband and she have begun to merge their financial lives slowly. They started with one joint credit card, then a joint account for their household expenses. In the future, they might own real estate together. The “yours, mine, ours” system works well for their relationship. Figure out what is going to cause the least stress in your relationship and do that. Then if it no longer works, figure out how to change it up. When it comes to our money and our relationships we need to be a team of two and we need to shut out the noise from the outsiders. The family, but also the experts who tell us we are doing it wrong. If it's working for you, it's working. Whatever you choose, the important part is to figure out what will work best for you. Remember, you are a team of two. Do not let family and friends tell you how to set up your finances. No matter which method you choose, it is important for each partner to have access to a meaningful amount of money on a regular basis. Every person needs some amount of money under their control. Being able to make decisions about that money and take responsibility for your own money actions is vitally important for long-term financial success. You can connect with Chatzky's content through the HerMoney podcast and hermoney.com. Also, she has a new book out tomorrow, Women with Money Full Disclosure: We earn a commission if you click this link and make a purchase, at no additional cost to you. 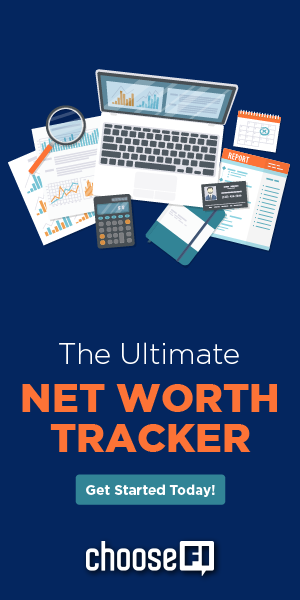 , which you can find at the womenwithmoneybook.com. If you are interested in sharing this with your book club, reach out to Jean for a Skype call to discuss the book with your group! Check out the review of this episode here. Favorite life hack: She puts on her exercise clothes on the minute she gets up and doesn't take them off until she works out. It is one way to automate habits. Biggest financial mistake: Besides the credit card debt she accumulated in college, Chatzky regrets pulling money out of her 401k when she switched jobs. Advice that you would give your younger self: Don't worry that it is not the straight line that you think it is going to be. Bonus! What purchase have you made over the last 12 months that has brought the most value to your life? A Peloton bike. Nice to hear an author who actually knows what the FIRE movement is about. I was nodding my head through all of the discussion about emotions and money. She’s been making the podcast rounds but this was new info. So depressing about the pay gap–love the idea of telling people what you make to help them negotiate. So glad she’ll be returning to the podcast!